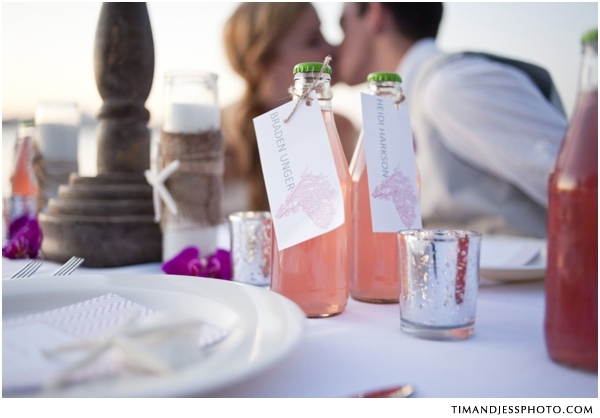 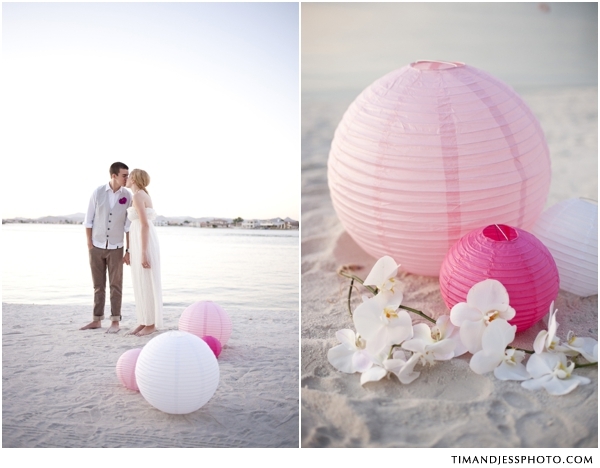 I just adore this simple and sweet beach wedding inspirational shoot photographed by the lovely Tim & Jess Photo. 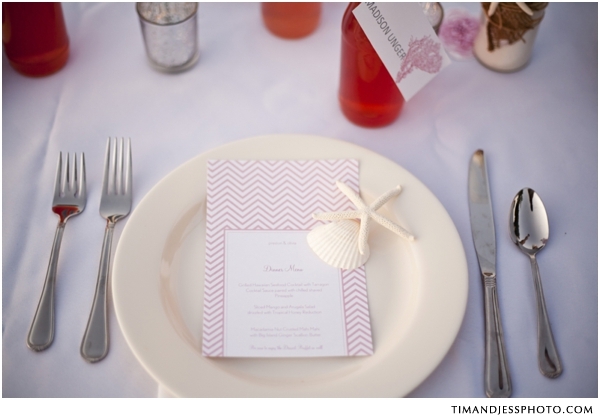 All the details in this shoot were created by the amazing Kaleb Norman James (even the invitations!) 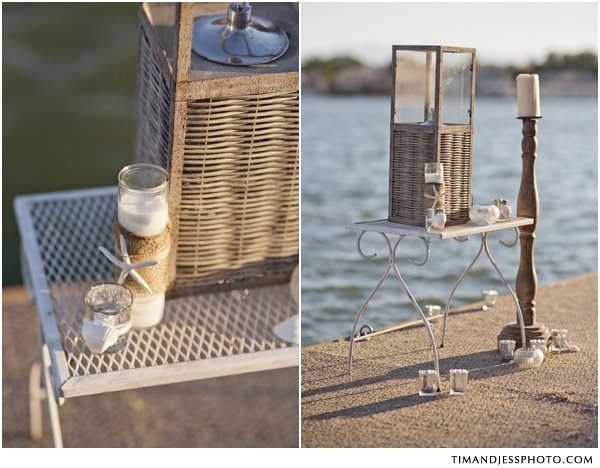 I hope you enjoy this shoot as much as I did! 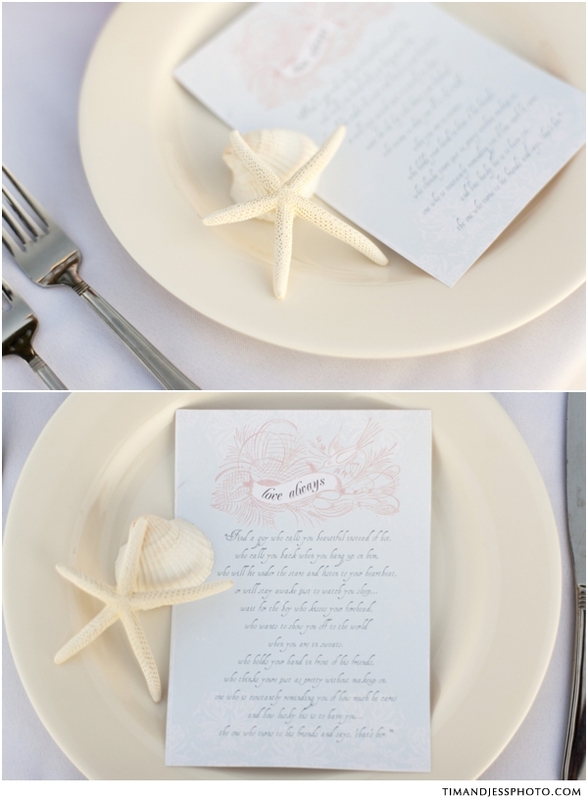 From Tim & Jess Photo: "This casually elegent beach wedding was styled by an amazing up and coming stylist, Kaleb Norman James. 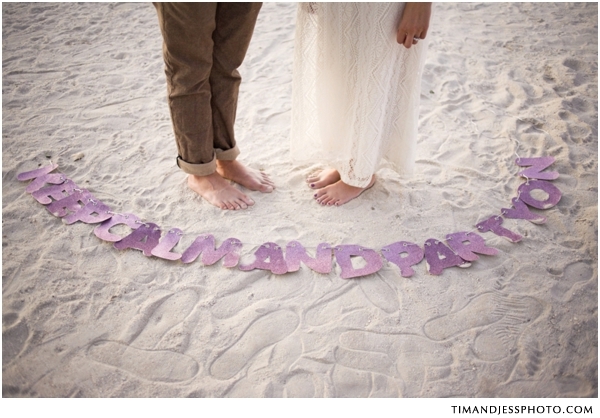 I loved the fact that the couple was barefoot. 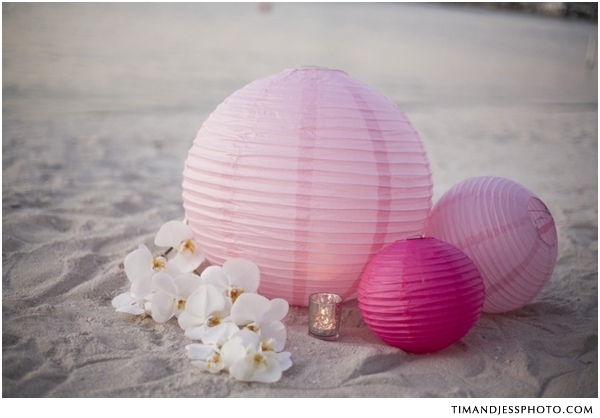 The bride wore a strapless gown, simple jewelry, and a relaxed ponytail. 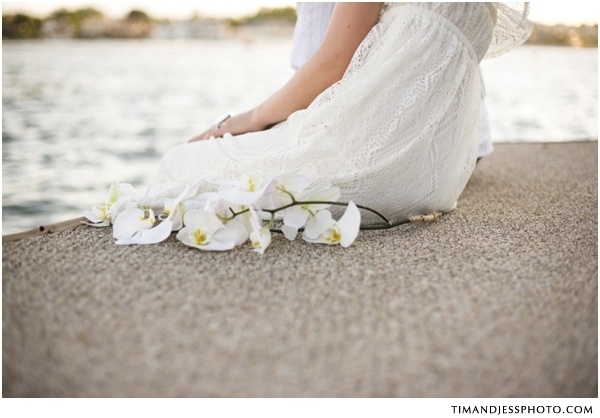 A singe branch of orchids acted as her boquet. 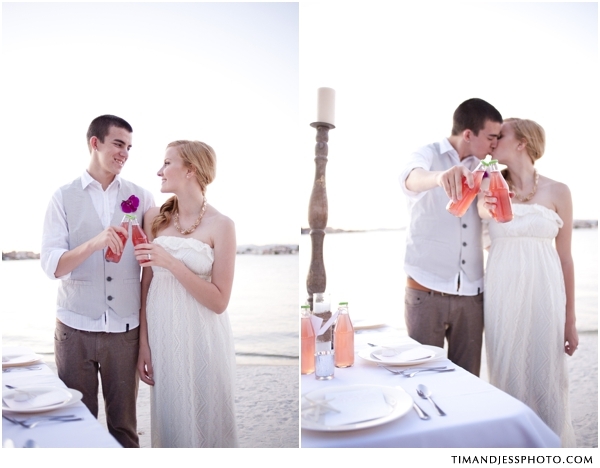 ofThe groom looked effortlessly stylish as well with a button-up/vest combo and rolled up jeans. 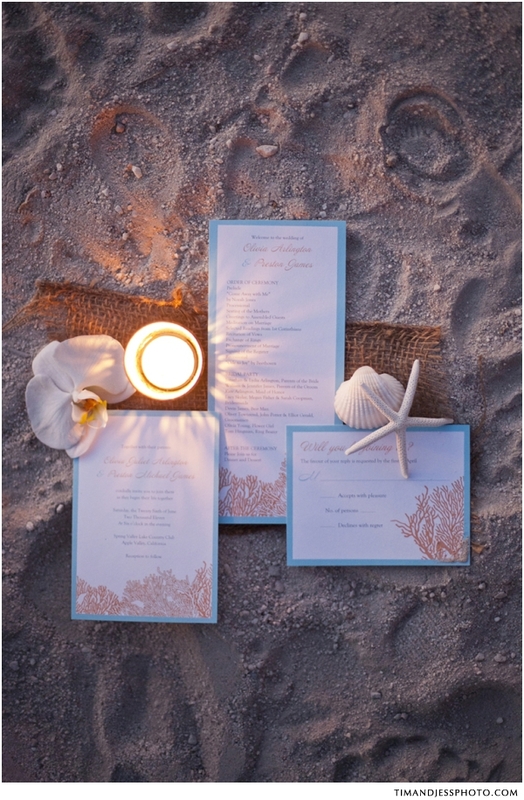 The reception was set on a sandy beach. 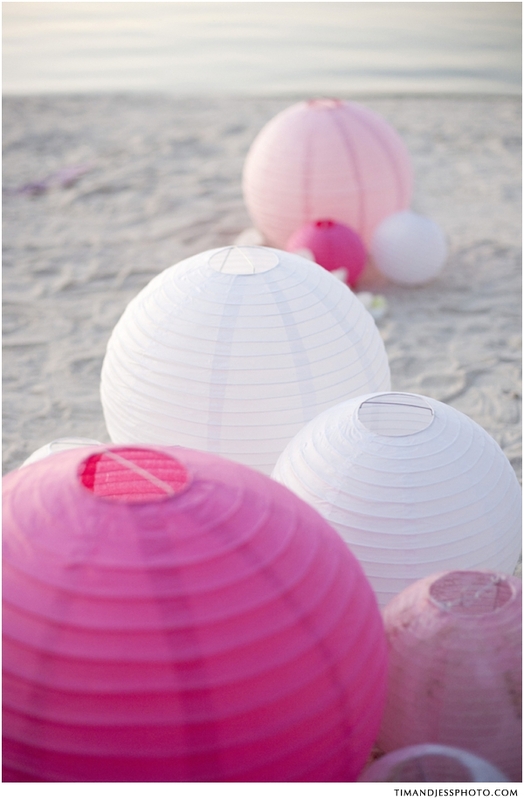 Various sized pink chinese lanterns were placed on the ground. 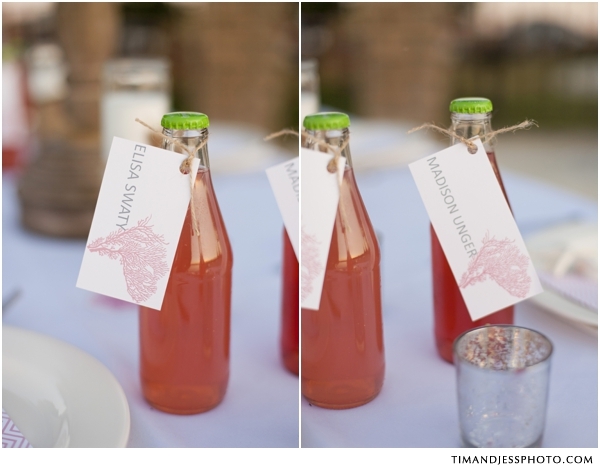 There were candles decorating the table and various colorful juices were served with the place settings attached. 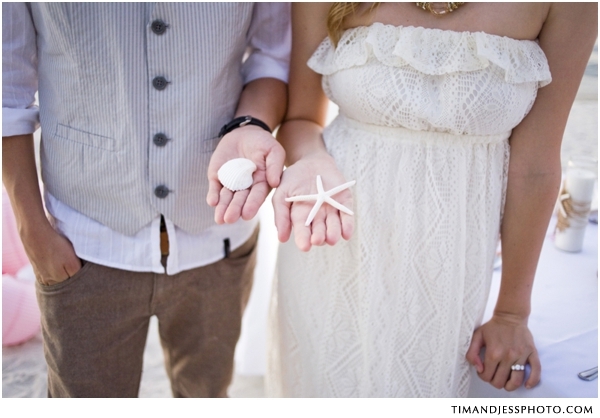 Seashell and twine details added the finishing touches to a sweet wedding on the beach."